The American Red Cross continues to help those affected by the recent wildfires in Okanogan and Chelan Counties. For anyone with urgent needs caused by the wildfires, we ask that you please call our hotline at 509-670-5331 by Wednesday, September 30. 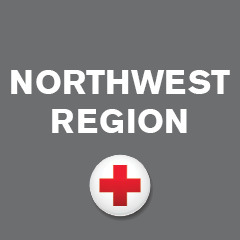 Over the past five weeks since major wildfires began in Central, Northern and Eastern Washington, more than 400 Red Cross workers operated 17 evacuation shelters, resulting in more than 1,000 overnight stays. Our nurses and mental health professionals worked directly with people impacted by the fires to provide access to health services and emotional support on more than 2,300 occasions and we have provided more than 26,000 meals and snacks. The Red Cross responds to emergencies to help provide for the urgent needs of disaster victims. In the immediate aftermath of a disaster, we focus on providing safe shelter, feeding and trained emergency workers to offer first aid and health services, mental health and emotional support, and to distribute emergency relief supplies such as comfort kits and cleaning supplies. The Red Cross also plays a critical role in helping families and communities get back on their feet in the weeks and months after a disaster. Trained Red Cross caseworkers meet one-on-one with people to help them navigate what often can be a confusing and complicated world of disaster recovery. Red Cross caseworkers can help people create tailored, individual recovery plans, complete paperwork and find help from other agencies. To help communities recover, the Red Cross often brings together groups and agencies so they can coordinate recovery efforts and plan activities together.